There are already a few options on the market in terms of self-driving cars, but we are really not quite there yet. As of now, you could buy a Tesla, if you can afford and want an expensive electric car, and that features an advanced form of cruise control that uses cameras to control the car to prevent accidents. The car will speed up and slow down to avoid other cars and can change lanes. However, the system is not meant to fully replace the need for a human driver at this point. On the other hand, Google is working on a fully automatic driving system that it will eventually lease to car manufacturers uses a more complicated LIDAR (laser and radar) system to navigate. The goal being that an ordinary consumer can afford the system and can simply put in a destination and let the car do the rest. This is much closer to what we have seen in variety of 1990s science fiction action movies like “Demolition Man” and “Total Recall.” However, we are still a few years a way from seeing this technology widely used, according to Google.When we ultimately see self-driving cars on the road, it may have a major effect on the lives of disabled Americans, according to a recent news article from Disability Scoop. A point discussed in this article is that even if a disabled individual is able to work in a limited capacity through the help of reasonable accommodations from his or her employer, if they can’t get to and from work at the required time and on a regular basis, they will not be able to hold down a job. Many Americans with disabilities, who are receiving Social Security Disability Insurance (SSDI) benefits, are not working in part because they cannot get work. While there are ride-sharing services and shuttles for persons with disabilities, these are not always viable options for people who work various shifts. However, there is hope that when driverless cars become more commonplace, a disabled individual, such as one collecting Social Security Disability Insurance benefits in Boston, could own a self-driving car and take that to and from work. This will be when these cars are available on standard models and not just high-end luxury vehicles, which may be some time in the future. 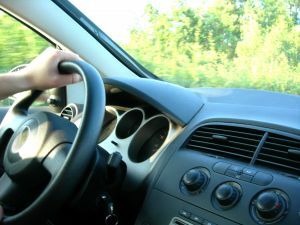 There is also talk of grant programs in the future that may help these disabled workers purchase or lease these vehicles, and that will reduce the total amount of Social Security disability benefits paid out each year, which is always a goal for the United States Social Security Administration (SSA). Again, while public transportation is often an option, once you get out of the downtown area in Boston, taking public transportation to and from work can get a lot more difficult. This is especially true for anyone who has a severe disability. There will also be a concern that SSA will assume everyone can afford these new cars when that may be far from a reality.